CLOSEOUTS. 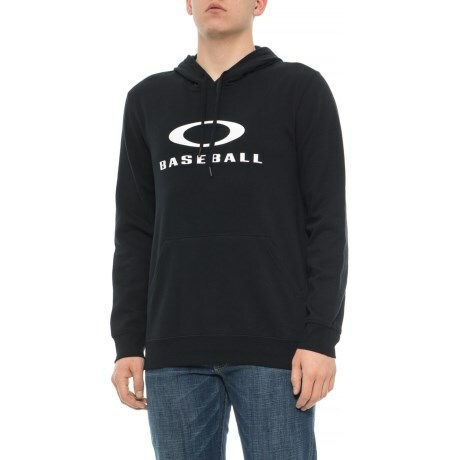 Oakleyand#39;s Baseball hoodie was made for adventures or lounging, and it delivers light warmth with its fleece construction. Available Colors: JET BLACK. Sizes: L, S, XL, 2XL.